Ryan Saunders is a student of urban culture. The High Point native spent his mid-20s living in and traveling to cities across the country, working odd jobs and soaking up the scene in places like New York, Charleston and San Francisco. Now, he’s curating Greensboro’s culture. 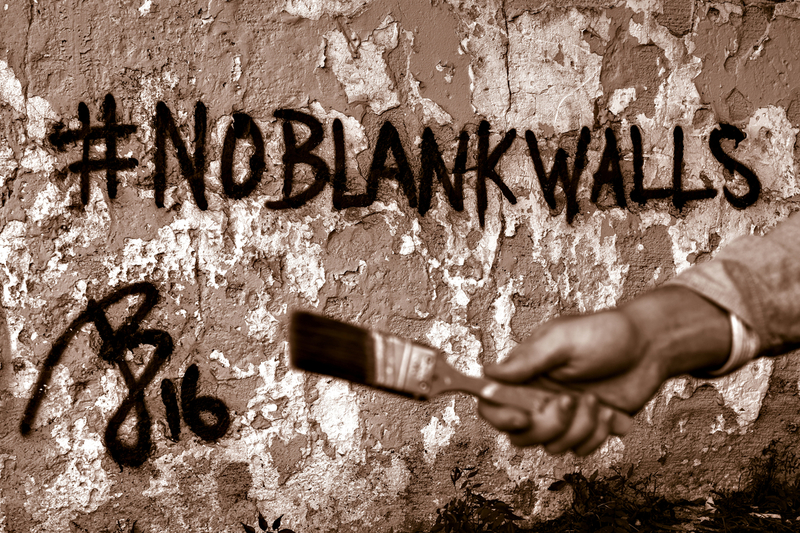 Ryan is the co-founder of the No Blank Walls Project, a local initiative that uses street art to enliven the cityscape. 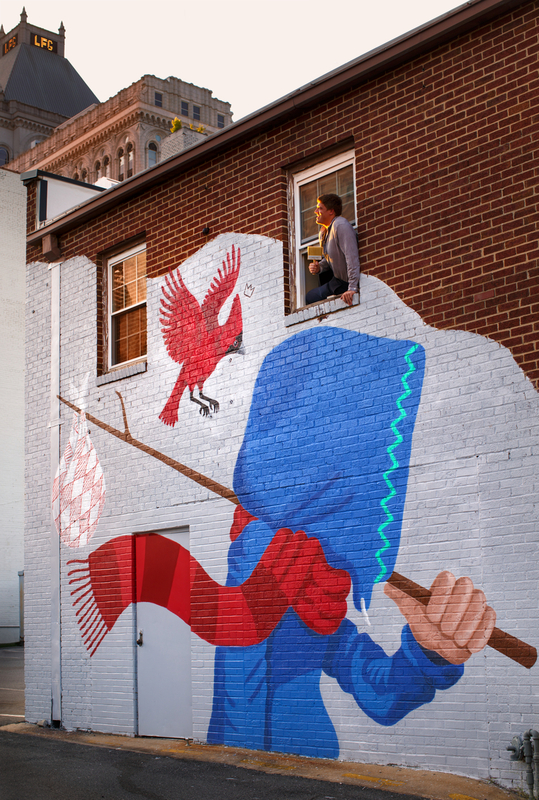 Ryan and his team invite street artists from around the world to adorn the city’s bare, sterile walls with signature visual masterpieces, funding the projects with grants and donations. 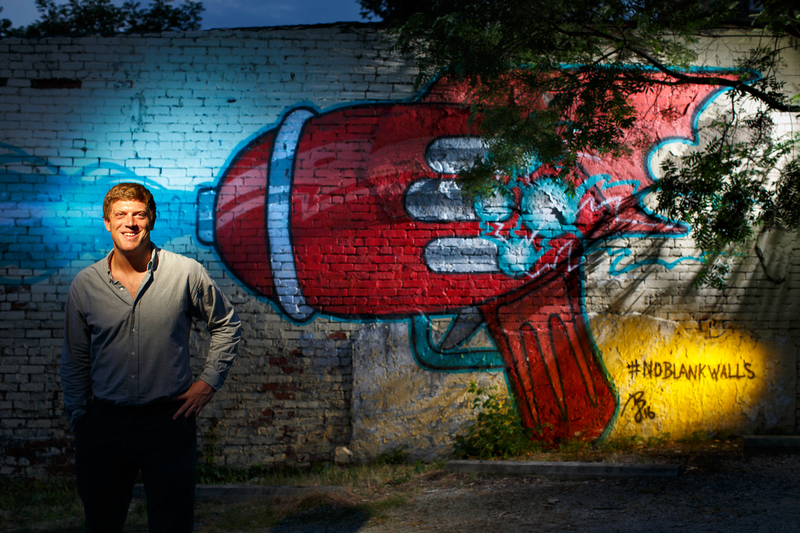 The No Blank Walls Project has curated six murals in the area, five of which are in Greensboro and have been an inspiration to others. “After the first mural by Art of Chase in 2015, several other projects have put up murals around the city,” Ryan said. Ryan is also the founder of Create Your City, a platform that creates unique events and projects to bring people together and celebrate community, like the brews festival Hopfest and Dinner with a Side of Culture. He recently joined the Kotis Properties team, lending his design and program creation skills to make Greensboro more appealing to residents and businesses. In his many different capacities, Ryan works to build culture and showcase it. “I want people to see the opportunities that exist in Greensboro,” he says.